Hi gorgeous! 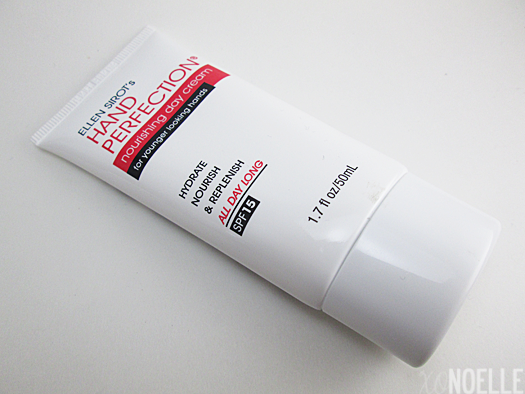 Today I have a review for Ellen Sirot's Hand Perfection Anti-Aging Hand Care System. 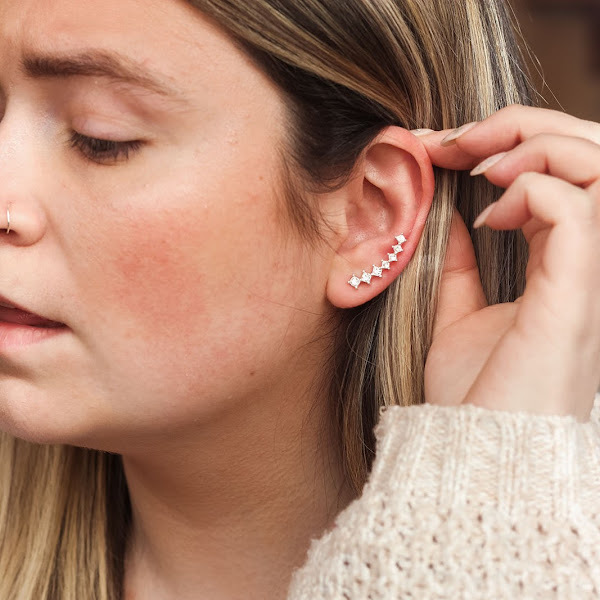 I started using this system about two weeks ago and have been pretty impressed with the results. 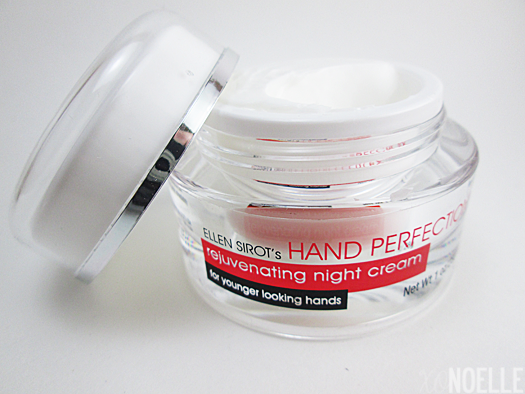 Ellen Sirot's Hand Perfection Anti-Aging Hand Care System was developed by America's top hand model to keep her hands looking smooth and young. The system is the first clinically proven product line formulated specifically to reverse visible signs of aging. Let's check out what's inside the box! Directions: Apply pearl sized amount to hands each morning and when needed. Real talk: I could recommend this system for this hand cream alone! It has a somewhat thick consistency and extremely moisturizing without leaving a greasy feeling behind. This cream hydrates, nourishes, replenishes and is a SPF15 sunscreen. The only issue I had with this (while others probably won't) is that there was no scent. I just prefer pretty smelling lotions on my hand but I know that that isn't a huge deal for most. Directions: Gently massage a pearl sized amount into your hands at night. Easy enough, right? Again, this hand cream is just out of this world. Combining this with the day one makes your hands incredibly soft 24/7. 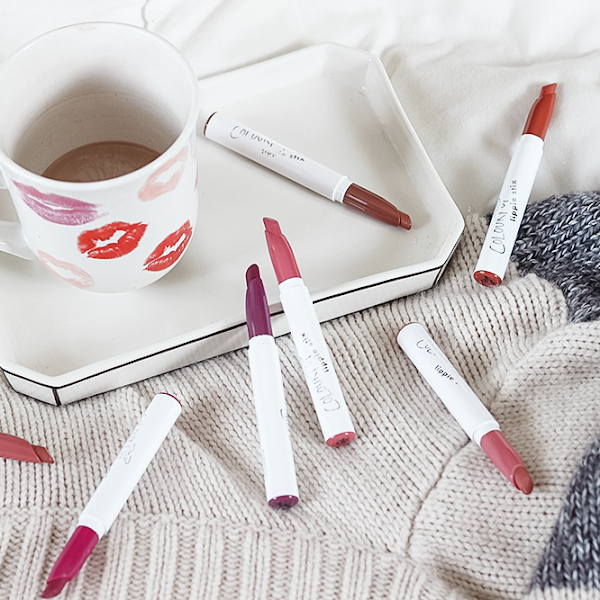 Consistency is the same as a cold cream, very light and clean. No scent. Directions: Massage into nails and cuticles daily. My cuticles are hopeless so I'm always in the market for a great new cuticle oil to soften them up. 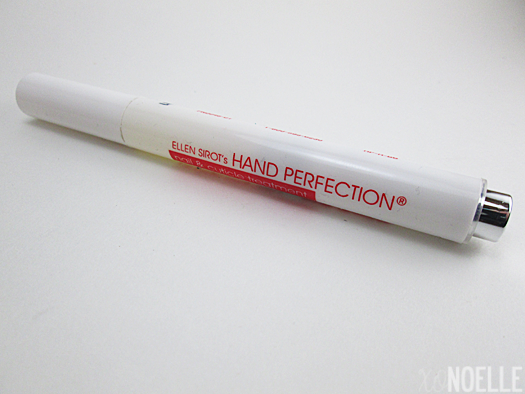 So did this cuticle pen work miracles and make my dry cuticles vanish? Well, no. But it is a pretty awesome throw-in-your-bag-and-go pen to have. 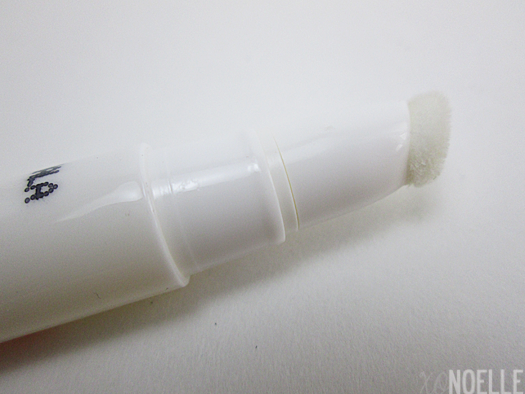 The applicator is pretty cool with a spongy/furry end that allows the oil to come out evenly. In a clinical testing, 100% of women who used this treatment hand more hydrated nails! That's pretty awesome. 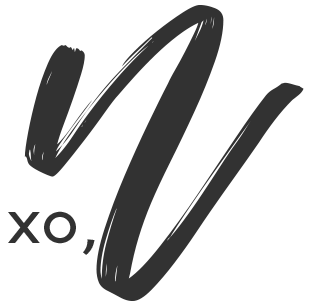 Overall: So I know you're doing to know, did this work for me? Were my hands wrinkle free and softer? Were my cuticles soft and gorgeous? 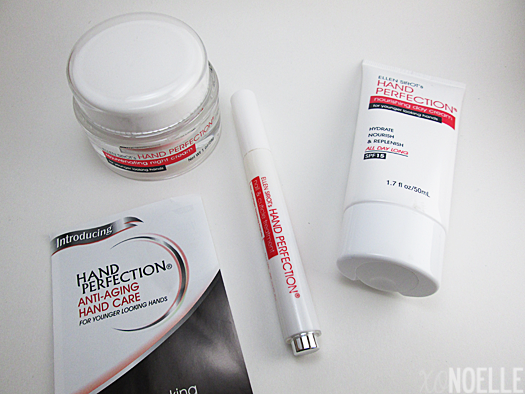 I noticed a significant difference in my hands using the hand and night cream in one day. My hands were very soft and smooth. I don't have any wrinkles on my hands (yet) so I can't vouch for that. As an added bonus, make sure to like Hand Perfection on Facebook for a chance to win the Hand Perfection Nail & Cuticle Treatment (one winner)!